This is a template for creating a simple animated live wallpaper in android. It is developed using AndEngine - a free 2D game engine for android. This template contains two layers which creates a parallax effect and it seems that the autorikshaw made in the front layer is moving. Instructions for customization is provided and the setting screen for the LWP is integrated with AdMob for monetization. 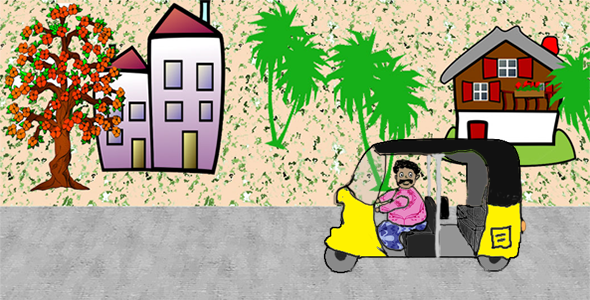 The template contains a setting to change the speed of the auto rikshaw for demonstration of how to making settings.